IRA owners investing in real estate have quickly learned they can invest not only in commercial and residential property, but also vacant land, private Real Estate Investment Trusts (REITs), non-performing notes, self-storage facilities and offshore real estate. But before jumping in head-first, there are a few very important rules IRA owners need to know. While they may sound obvious, making a crucial wrong first move will cost you dearly. A couple years ago, a federal tax court ruled that an IRA owner distributed his account, with which he had intended to use to purchase real estate. The IRA owner had an account with Charles Schwab that limited investment availability to only the financial institution’s offerings, such as stocks, bonds and CDs. The Schwab IRA, per its document used to establish the IRA, did not allow for alternative investments such as real estate. He needed a self-directed IRA to invest in real estate. This IRA investor could have prevented this heartache and first mistake by asking Charles Schwab a few basic questions. 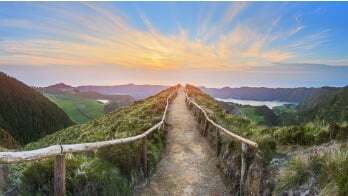 The second mistake came when he continued on his path and made a withdrawal from his IRA with the intent of buying real estate with the proceeds. This withdrawal is considered a distribution of funds from the IRA, even if the individual directed his IRA administrator to wire the funds for the purchase of the property. This is also true of the distribution, even if the deed was issued in the name of his Charles Schwab IRA, because the account did not allow for the ownership of real estate. What actually occurred was rather than purchasing property with his IRA through a custodian that allowed for such an investment, the individual distributed his IRA and used the money to buy real estate outside of his account. He disputed the 1099-R issued to him, as well as the taxes owed by making an early distribution, and lost in tax court. He had argued that it was Charles Schwab that made the mistake, but the court ruled it was his responsibility to roll the Schwab IRA into a self-directed account. Make sure that when purchasing real estate with an IRA that the administrator allows for this type of investment. Most self-directed IRA administrators do. Roll over or transfer funds from your current custodian to an IRA administrator like The Entrust Group. Ask the self-directed IRA administrator about the proper procedure to purchase such assets as real estate, as well as inquire about additional issues one must be aware of when holding such an investment. If you are interested in investing in real estate with your retirement account, you should understand the market you are jumping into. A self-directed IRA administrator should NOT endorse any specific investment or companies. In a Real Estate IRA, the property becomes an asset of your IRA. This means your IRA owns it. Using the property for personal reasons is considered a prohibited transaction. As an example, you cannot live in the property or use it as a vacation home. Also, your IRA cannot purchase a property from you or any disqualified person, which includes lineal ascendants and descendants (and their spouses), and others under Internal Revenue Code 4975. Dealing with any of these people could trigger the IRA to be disqualified which means that the IRA ceases to be an IRA and all assets become taxable as of the 1st of the year in which the transaction occurred. Make sure the purchase contract is titled in the name of your IRA as the buyer. The IRA administrator will need signed copies of all documents in the process to fund the earnest money deposit and then complete the purchase, such as a Buy Direction Letter, warranty or grant deed, title, estimate closing statement, and others. 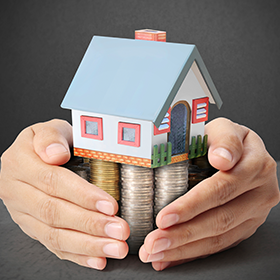 Once your IRA owns the asset, income and expenses for the property must flow through your IRA. 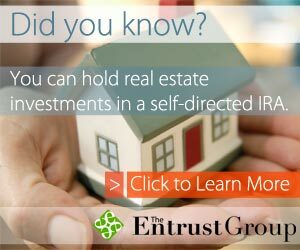 Visit our educational Real Estate IRA Center to learn more. It is the most-current resource for Real Estate IRA investors and others interested in learning about holding real estate in an IRA. We address important topics such as the legalities pertaining to accepting payment from rental properties and the needs and duties of a property manager.